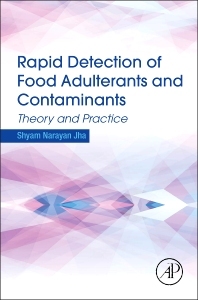 Rapid Detection of Food Adulterants and Contaminants: Theory and Practice contains solid information on common adulterants and contaminants in various foods, guidelines for different standards, permissible limits prescribed by food regulatory authorities, and related detection techniques. This is an essential reference for anyone interested in progressive research on detection methods for food safety, especially researchers engaged in developing fast, reliable, and often nondestructive methods for the evaluation of food safety. Dr. Shyam Narayan Jha is pioneering research on nondestructive methods of quality evaluation of food and makhana processing in India. He has developed and commercialized numerous technologies in the field of food process engineering. Dr. Jha is the Project Coordinator of All India Coordinated Research Project on Post-Harvest Engineering and Technology, which has 30 locations throughout India. He provides leadership and manages various research projects and consultancy work in the field of post-harvest engineering and technology.